If you are searching for an efficient company that provides industrial scaffolding, then Drake Scaffolding Services Ltd is your ideal choice. For a free quote, contact us today. For a construction site irrespective of whether it is commercial or industrial, scaffolding remains a vital aspect. 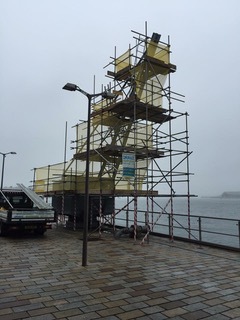 With the help of the experienced scaffolders at Drake Scaffolding Services Ltd, you can build platforms ideal for your workers to move around and work without worrying. Our industrial scaffolding structures are known for their stability and balance. 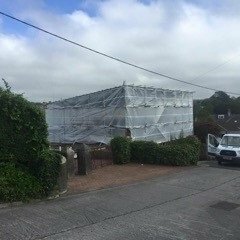 We off our industrial scaffolding services to businesses across the South West including the cities of Devon, Exeter, Truro and Taunton. In addition to easing safety concerns, scaffoldings also help to increase the accessibility of your construction site. Give us a call today to talk to our experts. At the beginning of each project we undertake, our scaffolders will visit your industrial site and conduct a complete site survey. Once they make their inspection, they will discuss with you in detail about the various facts you need to be aware of and the arrangements you need to make. One of the main reasons why we work closely with you is to ensure that we have a clear understanding of your requirements. This way, you can also make sure that everything is done according to your demands. We have over 21 years of industry knowledge, meaning that whether you are working on an industrial project or contract work, we have the means to deliver a comprehensive solution.